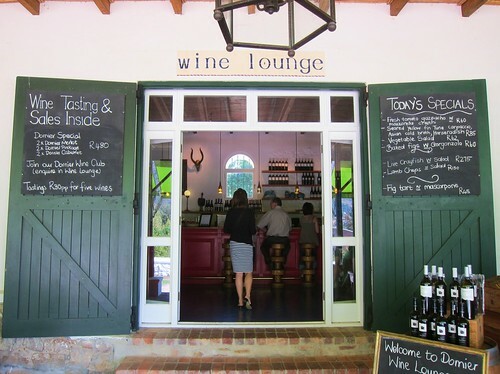 Being based in Stellenbosch, we didn’t have a long way to the various wineries. 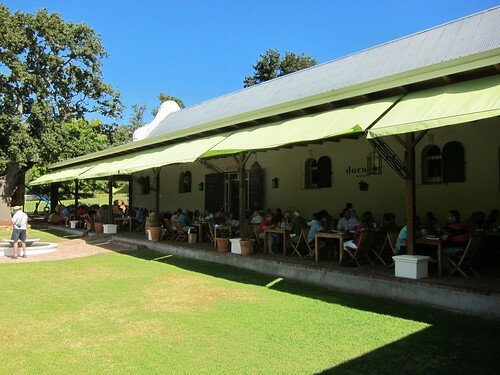 Our first visit brought us to Dornier estate which is actually linked to the former German airplane constructors. 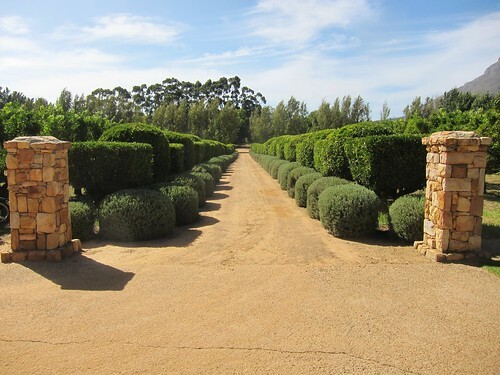 In fact, quite a few estates in the winelands are owned by industrial families which reminded me a bit of Bordeaux but with a more romantic side of corporate ownership. 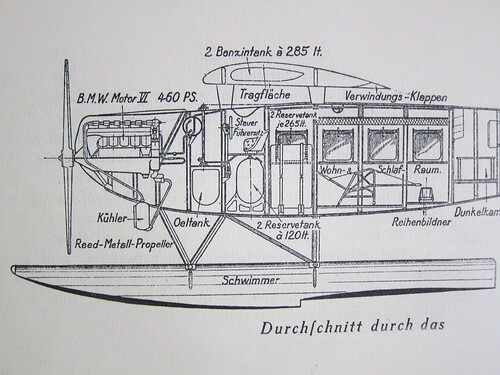 So for those who expect a big list of Dornier tasting notes, I have to disappoint you. 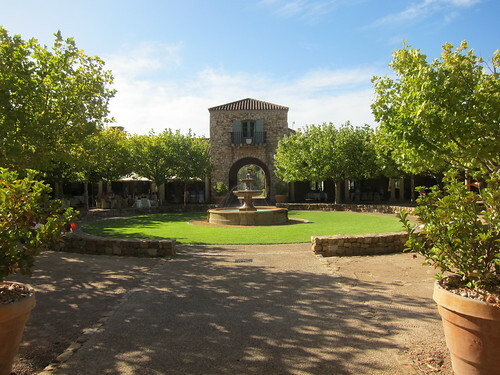 We didn’t go for the tasting room, but instead had a nice lunch on the terrace of “Bodega” restaurant. 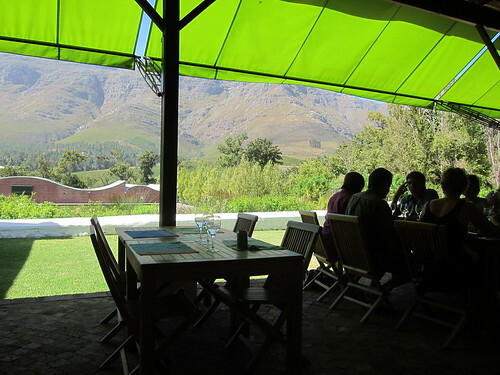 And it was already one of the lunch highlights of the trip, being it for the well tasting food or the cozy and relaxed atmosphere with breathtaking view. 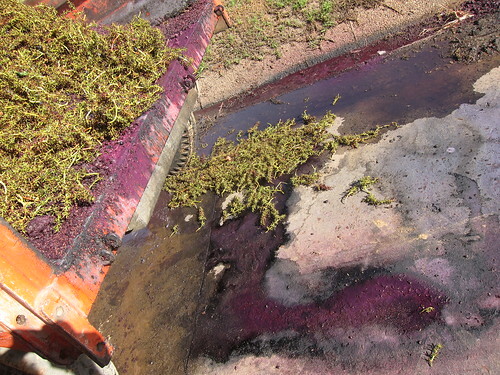 We had one of the estate’s wines at least. 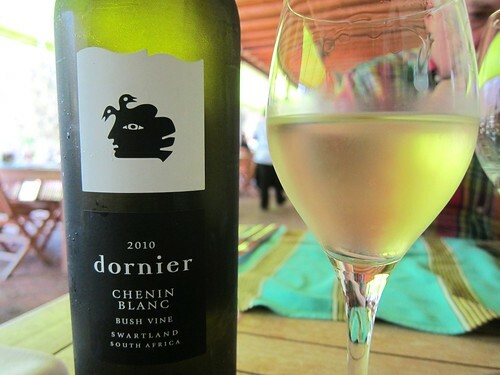 The bush-wine Chenin Blanc was good company with the food. 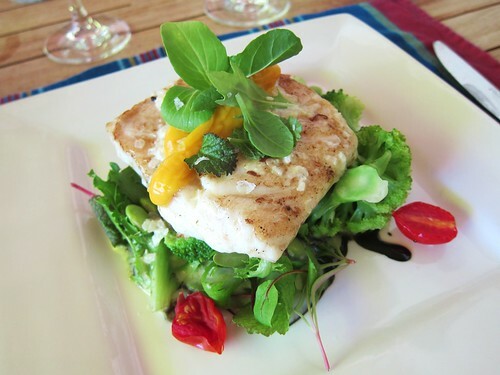 Appearing fresh with a shy fruit nose of white peach, crisp on the palate with some spice and a good length it went perfectly with the line fish with micro-herbs. 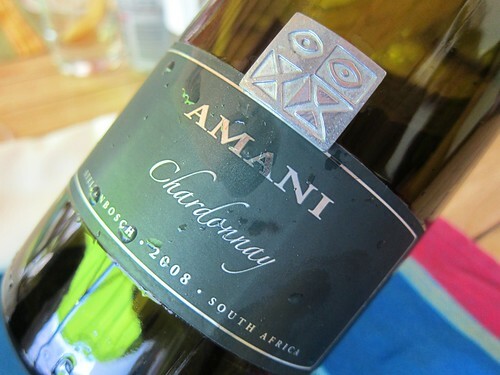 The Amani Chardonnay was much less my taste, the overly buttery nose unmasking the use of much new American oak. Palate was balanced, a little tangy with green apples and lingering on citrus notes in the finish. Some butter there as well. A solid wine for those who like this style I suppose. I don’t actually mind a slight butter tone, but it needs to be paired with a nice weight and intense aromatics to appear natural enough. 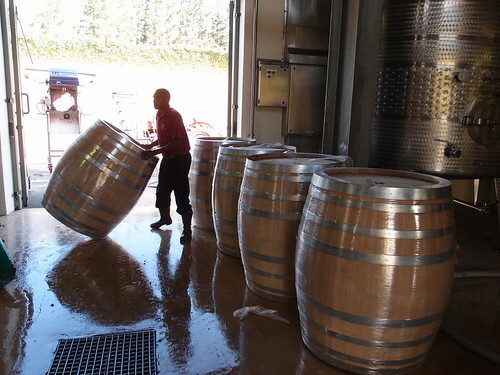 But I was yet to find out that this was one of the lighter oaked Chards of this trip. 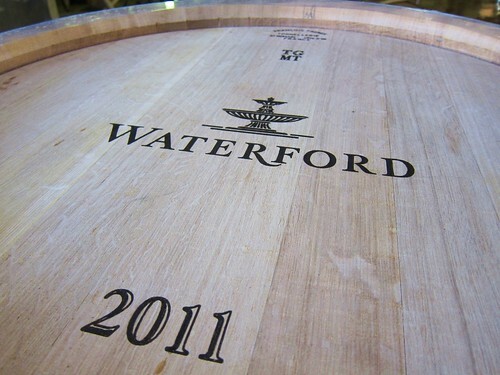 We then went on to Waterford estate, which isn’t too far either. The building which looks like an ancient Spanish bodega is actually only 10 years old. Of course this doesn’t impair its beauty and the elegance of the facility’s surroundings. 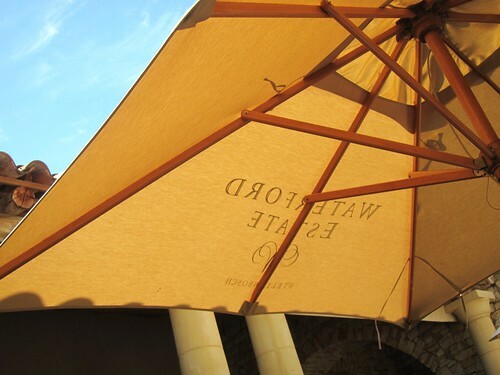 See for yourself..
We took place in a nice area at teak wood tables under linen umbrellas. 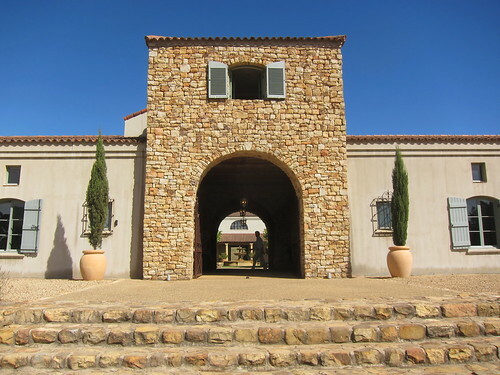 Some of us tasted the 3 basic whites of the estate. 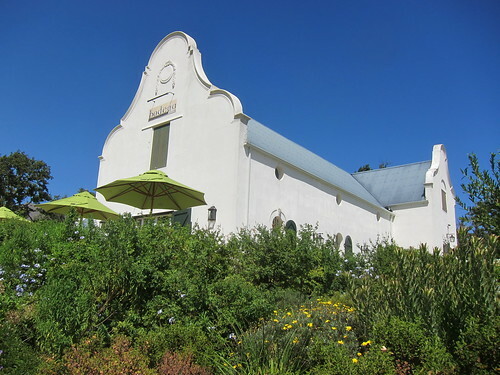 Sauvignon Blanc, Chardonnay and Chenin Blanc all were ok wines, light and fresh, a bit on the more acidic side for the SB. Nothing I would consider filling my cellar with. 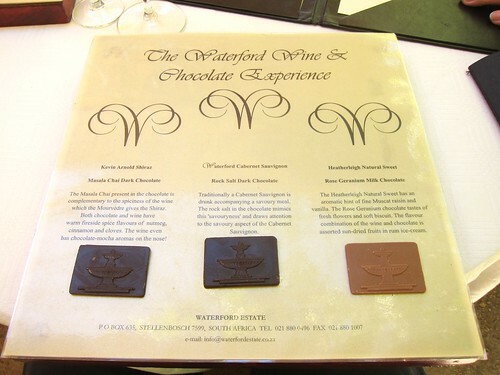 then we ordered the Waterford wine and chocolate experience. 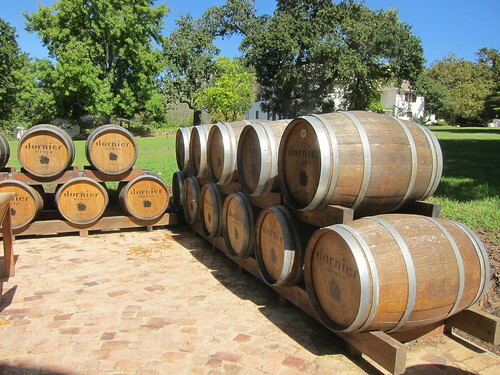 And this is exactly the kind of geeky fun stuff that makes a visit to Stellenbosch be “wine tourism”. 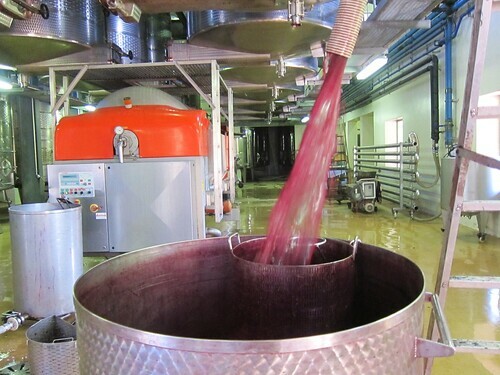 Something that equally makes a non-regular wine drinker and the advanced taster curious. 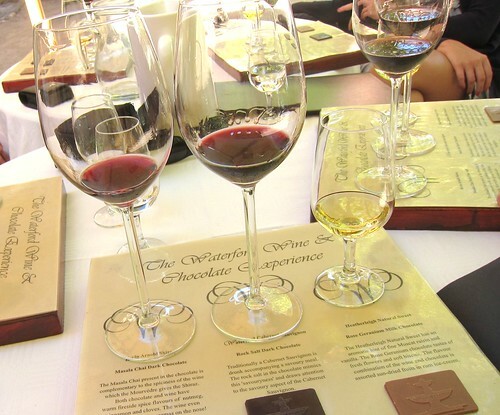 Masala flavoured chocolate was paired with Syrah. Some very Paprika-like Cabernet Sauvignon was matched with rock salt dark chocolate: that worked well. And the last pairing was with a Natural Sweet Wine composed of Muscat and Sémillon. 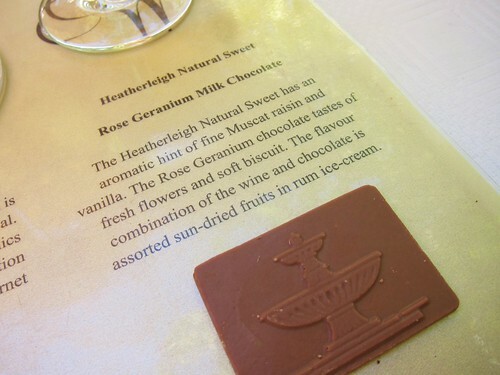 Guys, I could swear there was some Gewürztraminer in there, and that’s the reason it paired so well with the Geranium chocolate. Don’t laugh, this was objectively the best match of all 3, and I’m not quite the fan of Gewürz. But the downside of all this geeky fun stuff is that one is too distracted to seriously judge the wines. Consequently my my notes are quite brief but I am also pretty sure these weren’t the top notch wines of the estate. 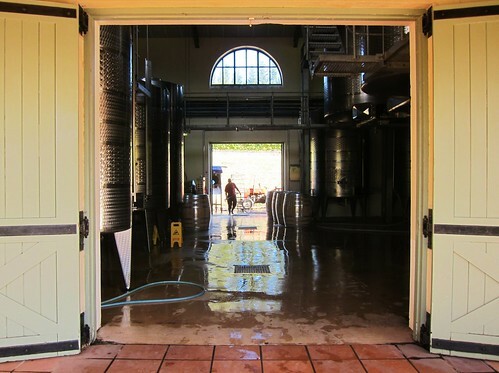 But hey, we’re in Wine-Disneyland and my attention was then caught by some action in the cellar. 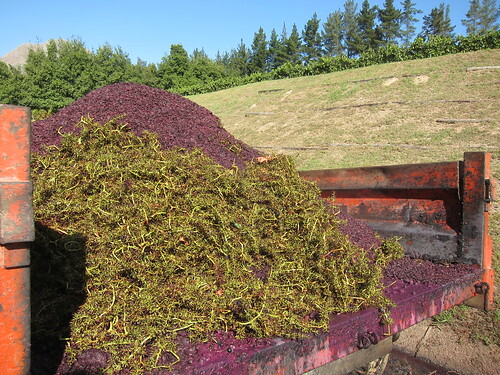 The last grapes are being brought in at the moment in Stellebosch, which shows through the delicious smell of fermenting grape juice and press residuals within the technical facility. 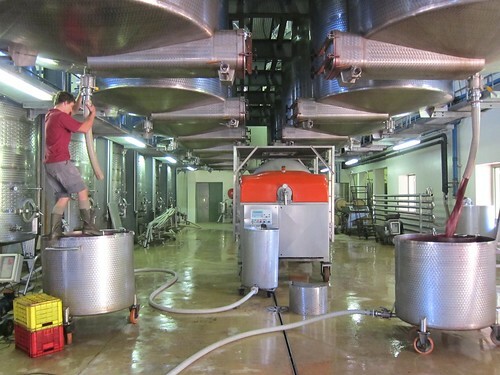 Here some fermenting red wine is being pumped over back into the same tank for ensuring maximum contact with the skins that are floating on top of the tank. 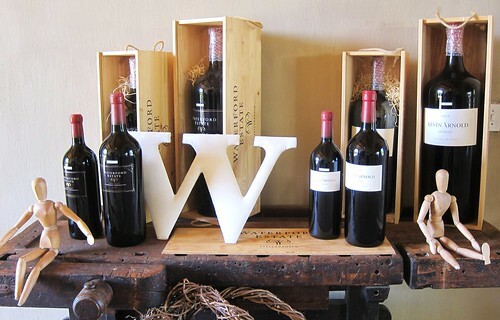 So that was our first fun day in the winelands. 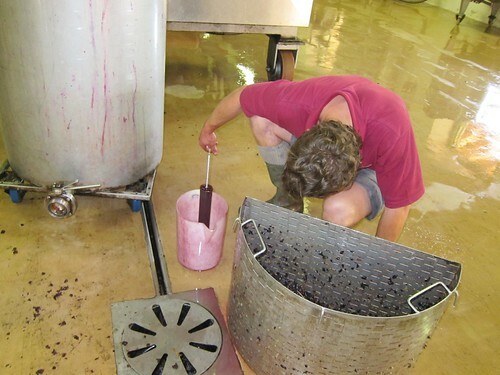 As you probably noticed, wine notes are pretty thin. But it also prefectly shows how much the fun side is accentuated here and I wouldn’t complain about that. 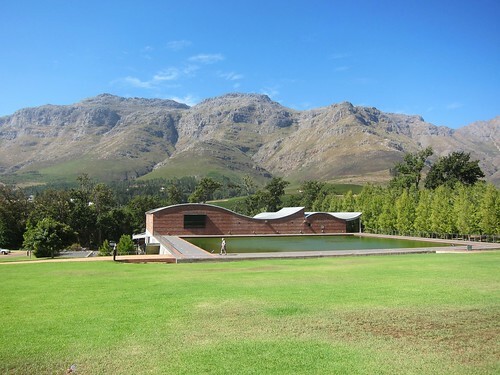 In fact, I can only recommend a trip to Stellenbosch. 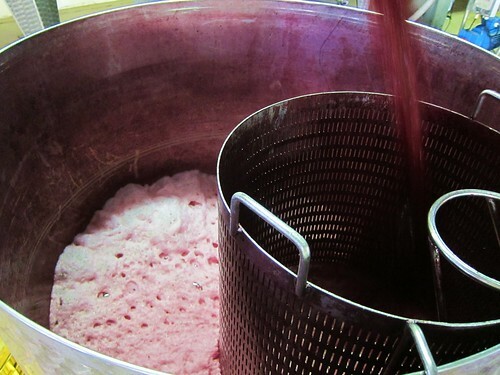 Also, some wines which are more for my palate are to come. Stay tuned!